On the occasion of the 74th Grand Prix de Monaco, Ateliers deMonaco has created the Tourbillon Ronde d’Or – Grand Prix de Monaco 1966. A unique piece which pays tribute to one of the most important and prestigious automobile events in the world and commemorates the 1966 race. Embodied in this exquisite piece of art, Ateliers deMonaco’s relentless pursuit of excellence is once again expressed though a subtle combination of craftsmanship and complex construction, representing an authentic technical prowess. Doubtless the most striking aspect of this unique timepiece, catching and holding the gaze, is the beautiful multi-layer hand-engraved 18K white solid gold dial representing the poster of the 1966 Grand Prix de Monaco. It features the green BRM driven by Graham Hill chasing John Surtee’s red Ferrari. The scene is set in front of the renown Palace of Monaco. This Classic piece of automobilia captures the essence of the French Riviera and the excitement of the Grand Prix. From years of practice, our master hand-engraver, Bernard Ditzof honed his skills, elevating himself to be one of the very few people in the world that can master such dexterity and method. Indeed, hand engraving is one of the most difficult and most complex work that can be performed on a movement, dial or case. Anyone who has ever watched a hand engraver at work understands the concentration and attention to detail necessary to create such a work of art. A single line must be repeatedly cut to create the correct depth for the engraving. This technique requires a great amount of focus and patience. Should the engraver make one small mistake, the whole piece has to be discarded – perfection is always sought and found. The dial of the Tourbillon Ronde d’Or Grand Prix de Monaco 1966 required an extraordinary 200 hours of work as the engraver delicately wielded the burin to extract life, adding depth and volume to a flat gold surface using a low-relief technique. 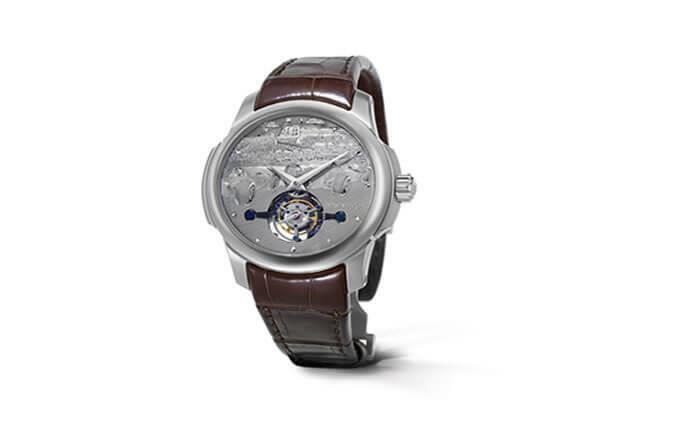 The hand engraving gives to this watch its own personal touch and makes it a one of a kind creation. Fully respecting the aesthetics of Ateliers deMonaco, this watch is housed in an 18K white gold case of 44mm, a diameter which lets leash the creativity of the brand’s craftsmen. Through the sapphire case back, one can gaze upon the patented Tourbillon XP1 movement, with its comfortable 42-hour power reserve. 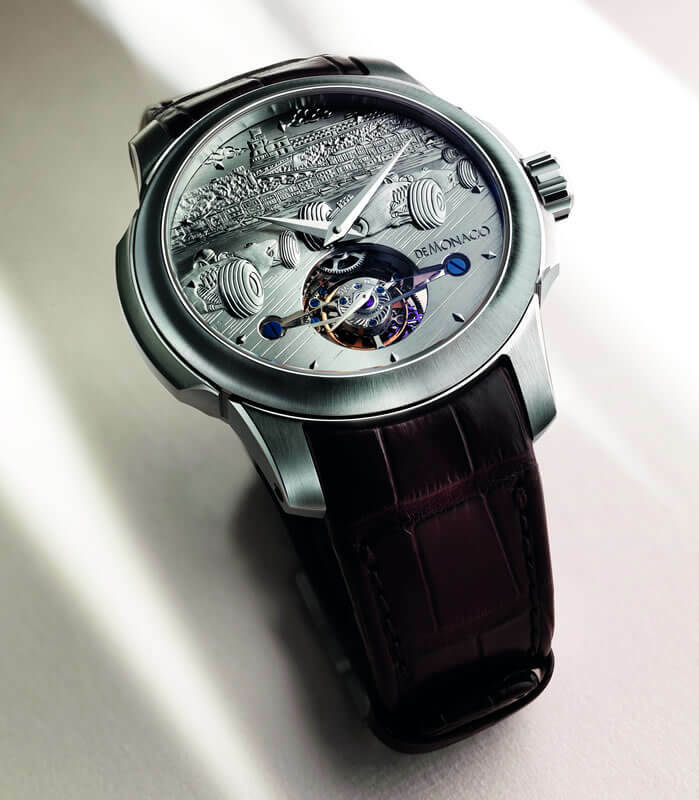 Embellished with 29-jewel and a hand-engraved 22 carats gold rotor, it runs at a rate of 28,800 beats per hour. The Tourbillon XP1 provides remarkable technical performance and traditional watchmaking know-how with the sapphire tourbillon bridge. The brown alligator leather strap with its 18K white gold folding buckle adds a touch of elegance, which endows this unique piece with its special allure.